Spring from the woodland vine. Even though these tiny wild gems have largely disappeared from our area due to commerce and development, plenty of their “plump and juicy fine” garden cousins are still available. 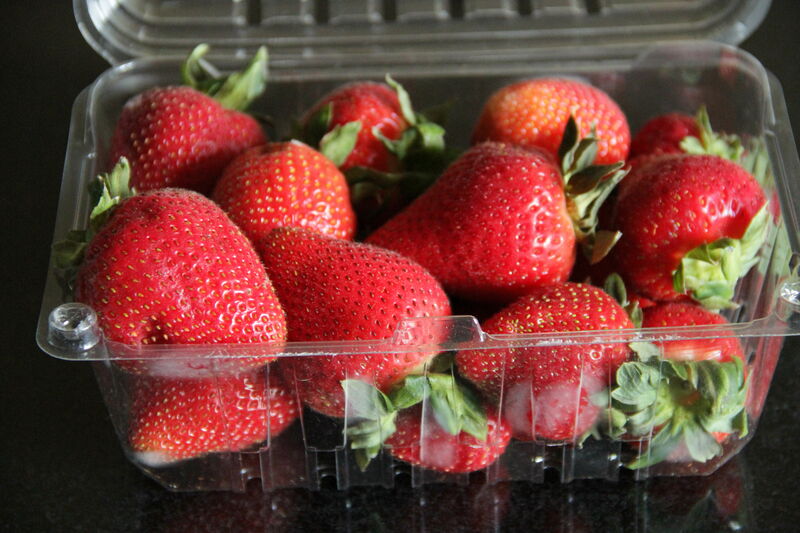 Locally grown berries can be found until the end of June, and hothouse grown can be purchased throughout the year. 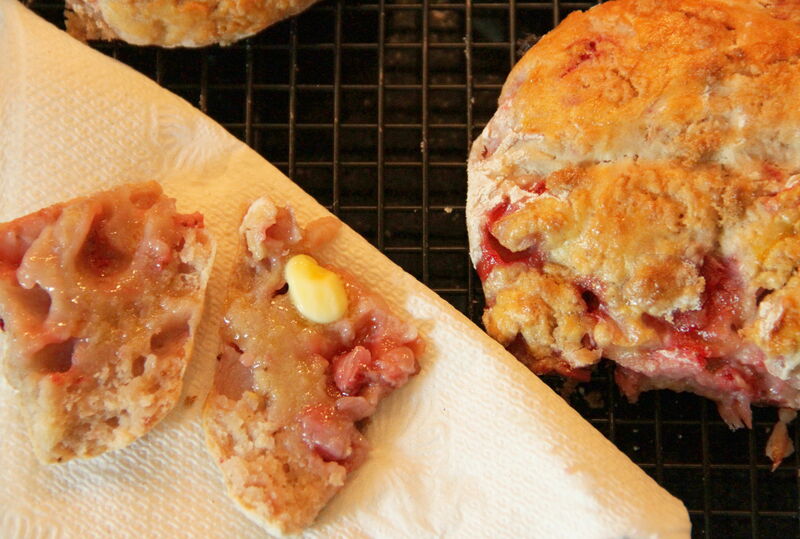 While they are still in season, try some in this easy scone recipe. Puréed berries give the dough a tender texture and lovely rose-hued tinge – a poetic breakfast in bed. Chop half of the cleaned strawberries, and purée the other half in a blender or food processor. Set aside. Preheat oven to 425°. In large bowl, mix together flour, sugar, baking powder, and salt. Cut butter into small pieces and cut into dry ingredients. In a small bowl, combine milk, vinegar and one egg. Mix well, then add all at once to dry ingredients, stirring until just mixed in. 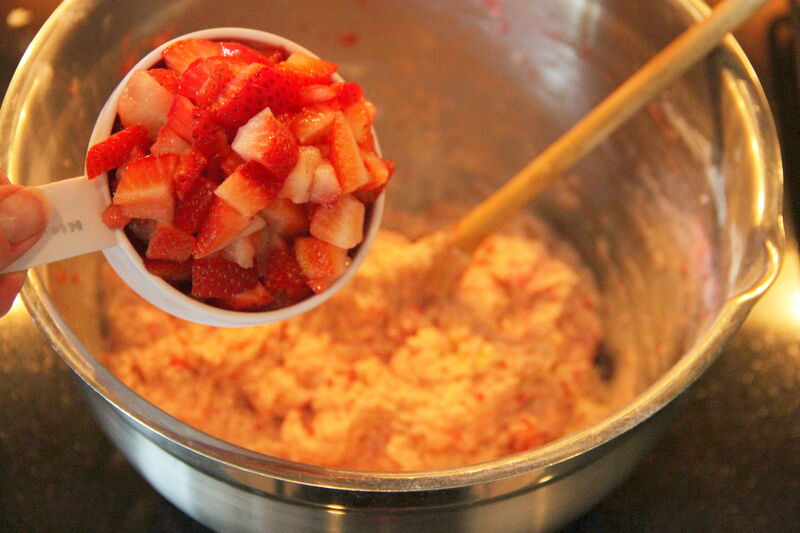 Stir in pureed strawberries. Add chopped strawberries. Mix in gently. Do not overmix or dough will become tough. Turn batter out onto floured board. Divide into 8 equal pieces and shape into balls. Press each ball gently into a flat round. 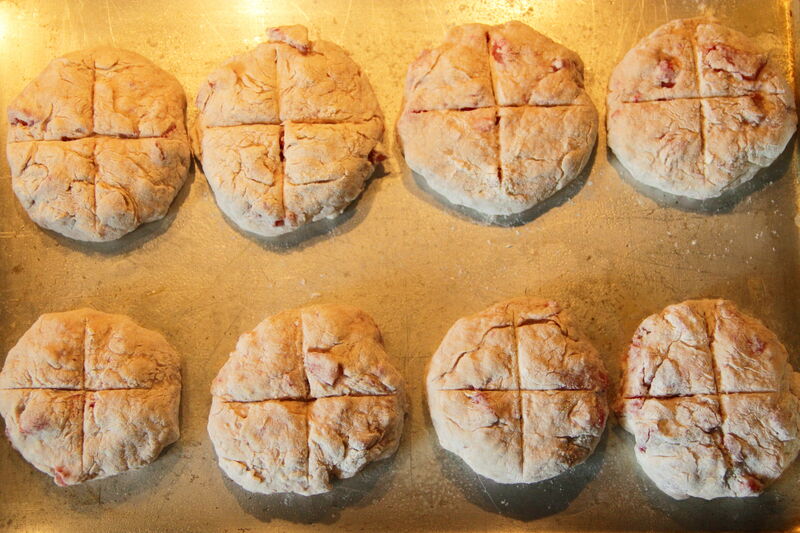 Cut a cross in the top of each scone, but do not cut all the way through. 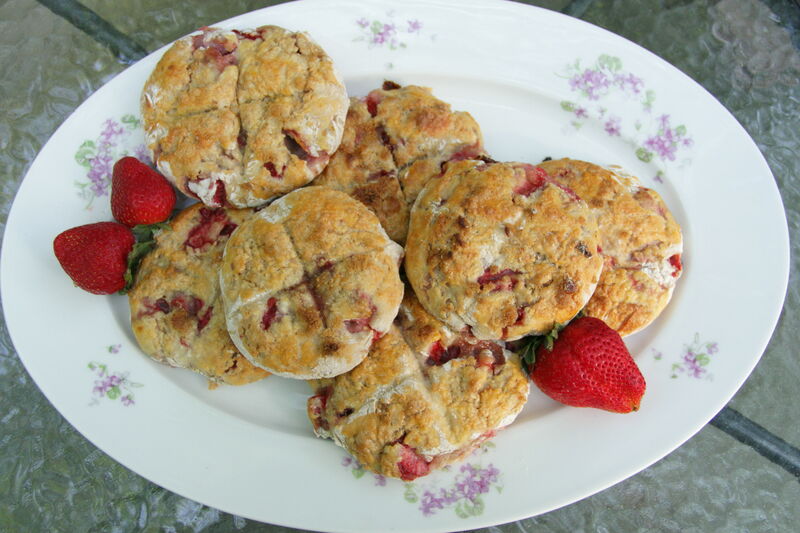 Place scones on lightly greased cookie sheet. Lightly beat remaining egg, and brush on top of scones. Sprinkle with brown sugar. Place in oven and bake for about 20 to 25 minutes, until golden brown. Serve warm with butter. Post by Mark T. Locker. The Amazing Maurice and His Educated Rodents by Terry Pratchett. Ladies and Gentlemen, I have discovered Terry Pratchett. It’s possible that there are one or two who have “discovered” him before me. Maybe the impeccable narrator of the YA series I’ve been enjoying. Maybe some others who put together the 8 million websites devoted to his vast collection of novels, most of which are set in the magical Discworld realm. I began devouring his stories a few weeks ago only to discover that I even own a couple and I never even knew. Well, I guess I have fantastic taste even when I don’t even know it! 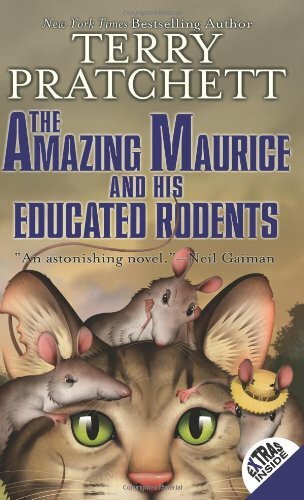 The Amazing Maurice and His Educated Rodents is the first book in the Discworld series aimed at young adults. It tells the story of a cat named Maurice and a band of rats and a “stupid looking kid” that travel with him from village to village. Mind you, these are not your average rats and cat. The kid? Well, he’s pretty average. But the rats, who lived once in a garbage pile behind a wizards’ castle, ate some discarded magical paraphernalia and gained a sudden self-awareness, complete with speech and understanding. Maurice, too has gained the same knowledge. He doesn’t eat garbage, but he does eat rats, so…I’m sure we can guess how he got his gift. My favorite bit about this book is the rats’ names. They picked them out themselves off labels from discarded food containers. So we have rats named Additives, Peaches, Serves Four, and—my personal favorite—Dangerous Beans. My six-year-old isn’t quite at a point to take on all the themes and scary bits in this story, but in a couple years he will be and we will venture through this hilarious magical world together as Maurice and his stupid looking piper kid and his trained rats trick locals into believing that they are ridding the towns of rats. I used to be a huge fan of superhero/comic book movies. They didn’t come out that often and whenever they did, my sister and I would be sure to catch the latest on the big screen. 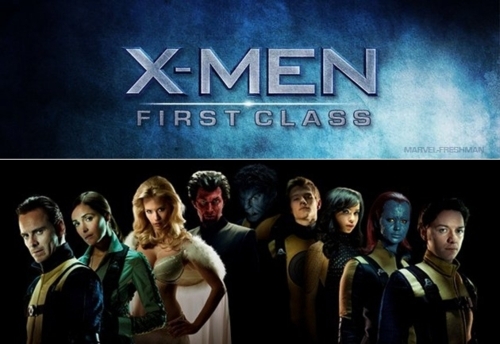 The first two X-Men movies fell under that category. We even saw one of the Hulk movies, but it was the one nobody liked and about five minutes later they began a new one, to start off that whole Iron Man/Thor/Hulk/Captain America/Avengers thing. The X-Men have continued to make movies as well, though X-Men: The Last Stand was so unbearable to me that I didn’t even look up when this movie, clearly designed to refresh the series, was released. I was wrong to do so. I’m not generally into back story but this movie which brings us back to the beginnings of Magneto and Professor X and the genesis of the X-Men is a story in its own right. And I liked it. Of course, everyone is played by handsome young things so that it will be easy to look at. Jennifer Lawrence plays Mystique, so that’s fun. Kevin Bacon plays the bad guy, so that’s fun too. We have a whole new level to Back to Bacon now. The most recent X-Men movie, Days of Future Past or something, just came out so now is a great time to catch up. Available streaming and probably on DVD as well. 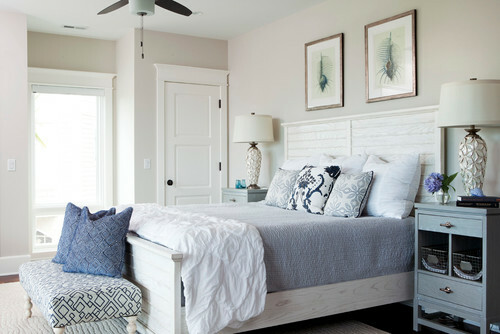 For the average lifestyle, the all-white room might seem like a frivolous option, but if you’re decorating a coastal bedroom –– in that dream beach house with an ocean view –– white walls and textiles might be the perfect achromatic scheme. Perhaps it’s a personal choice, which, for me, is unexpected because I adore color. Nonetheless, I fantasize about a white sleep space with crisp bed linens, a fluffy down comforter, and sheer curtains breezing at the windows while waves splash and seagulls croon for breakfast. 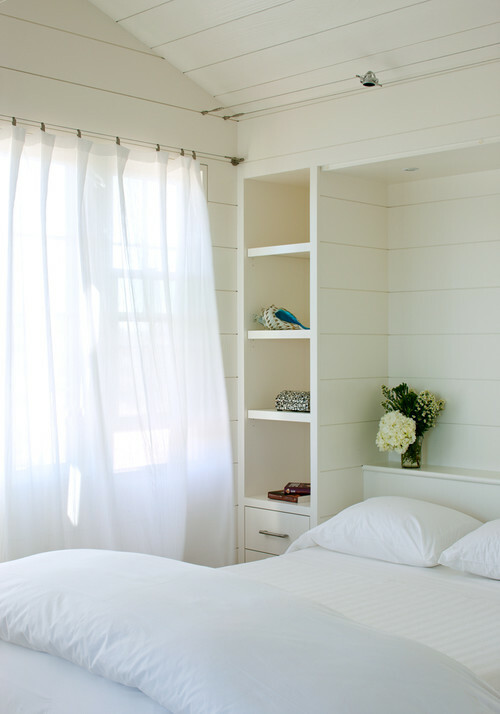 Bead board paneling is often found in beach cottages; a plethora of shades of white can easily be married with paneled or wainscoted walls. Vary the whites in furnishings, on surfaces, and on the bed. Avoid any color that’s too ivory, but as you plan your interior, take notice of all the bright whites available and how they harmonize wonderfully together. If your hardwoods aren’t in stellar condition, consider painting the floors a soft white with a subtle pattern. Adding a shaggy white rug under your feet will give the hard surface a visual softness and much-needed texture. A cushy area rug will feel good on the toes, too. If lack of color frightens you, add some punch in your pillows, artwork, and accessories, perhaps with slate blues, warm grays, celadon greens, or even a small touch of black. But no matter, try to keep your nighttime sanctuary tranquil and relaxing, because isn’t that exactly what a bedroom in a beach house should be? You might find yourself spending more time in that space than others in your coastal retreat –– that is, when you’re not catching rays or tiptoeing through the hot summer sand –– even during afternoon hours. 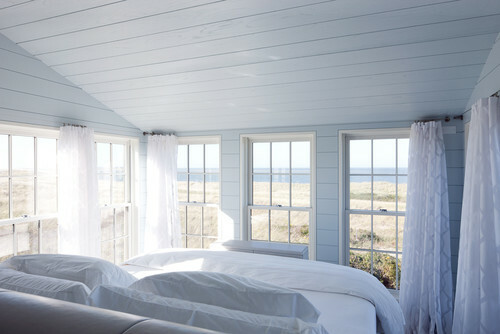 What’s your vision for an ideal beach house bedroom? 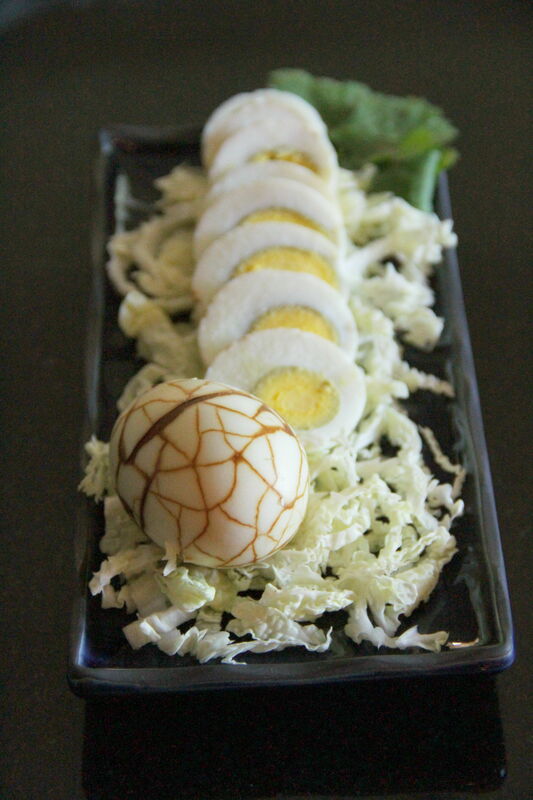 Tea Eggs, a traditional Chinese specialty, make a fun family project or a delightful surprise for guests. 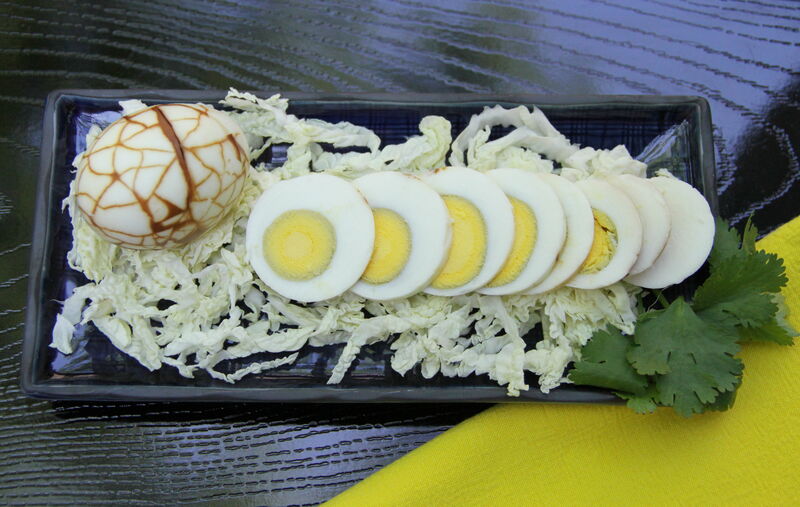 Hard-boiled eggs are rolled and cracked, then steeped in rich, black tea. When peeled, a lovely, thin-lined mosaic pattern is revealed where the dark tea has seeped in. In this simplified version, only eggs and tea are called for in the recipe. The end result is a hard-cooked egg with a distant, fragrant flavor that lingers lightly on the tongue – curious and interesting, yet mild enough for young palates. More traditional preparations call for adding soy sauce and / or a chef’s choice of spices. Chinese five-spice powder or Szechuan peppercorns add real zip. Or, you can take the eggs in a more dessert-like direction, adding spices such as cinnamon and cloves. Make sure to peel the prepared eggs very carefully, or you may lose some of the lovely dark marbling. Also, be advised that dark, brewed tea can stain cutting boards and fingers alike, so choose your tools wisely. This is one of those methods that’s imminently perfect for experimentation, with low risk or overhead. You are sure to delight family and friends with these fun and fragrant eggs – each one an individual piece of art, each one a lovely surprise, each one a delightful breakfast in bed! Pour water into a small heavy saucepan and heat almost to a boil. Add tea bags to hot water to steep. Remove from heat. Place eggs in a small heavy saucepan and cover with water. Bring to a boil on high heat and continue to cook eggs for 10 minutes, until hard-boiled. Cool slightly, then crack and roll on a hard surface so that thin lines appear all over the shell. 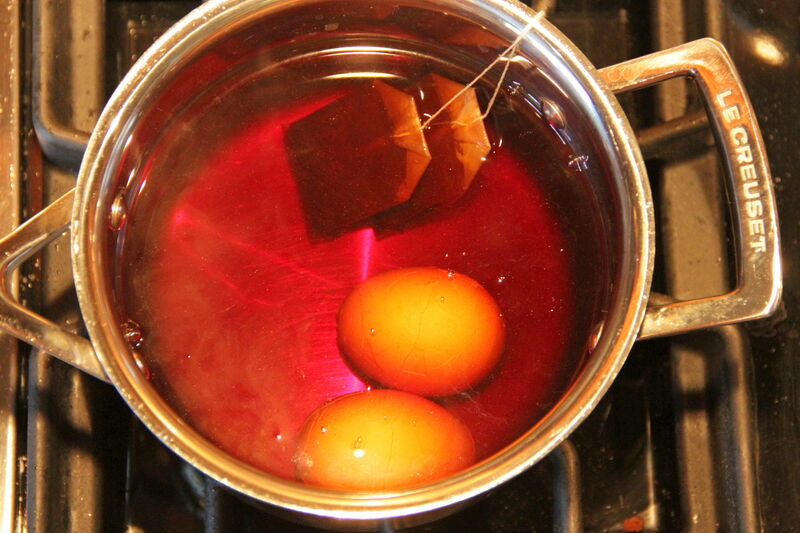 Place cracked eggs into brewed tea, ensuring there is enough liquid to completely immerse eggs. Allow tea to cool to room temperature, then transfer tea and eggs to a small glass dish and refrigerate. Keep eggs in tea for at least 4 hours, or as long as overnight. 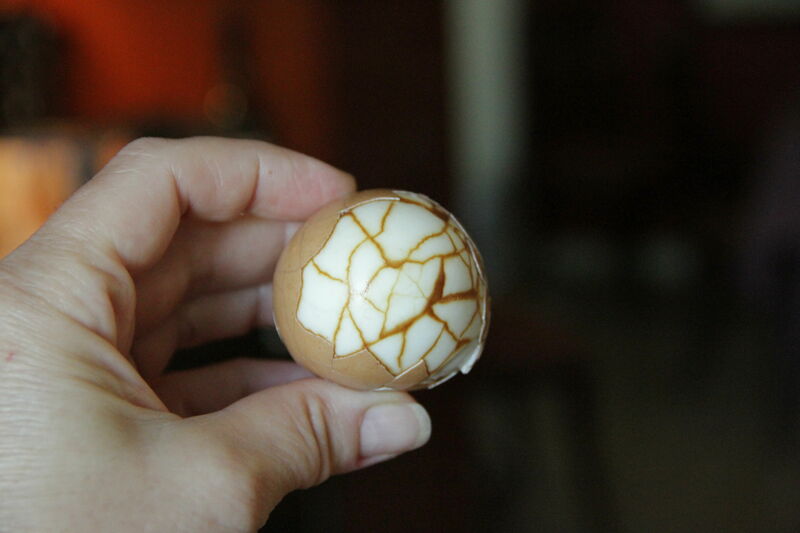 When ready, remove eggs and carefully peel off the shells to reveal the cracked tea pattern underneath. Serve cold.